Dr. Tom Francescott shares the true health benefits of a Total Body Cleanse. Even though Hippocrates, the founder of western medicine believed in cleansing philosophy, today many doctors do not understand the value and great importance of science based detoxification. I look at it very simply and with a common sense approach. Take for example what you do for your CARS. You get them regularly serviced, maintained and you clean out the oil periodically. Otherwise it does not function as well. How are your bodies any different? Can you expect to go 50 years and live symptom free if you do not heed the principles of cleansing? I don’t think that is possible. Our bodies, minds, and spirits need regular attention to cleansing. Cleansing is a broad term and there are a million ways to cleanse. There are many different types of “detox diets” as well as many different types of “detox cleanses”. What’s important here is pinpointing any potential toxins and seeking to eliminate them or rid them from the system. So on a physical level, these may be chemicals, heavy metals, pesticides, hormones. They also could be made within namely yeast overgrowth. On another level toxins can be emotional. Old trauma, old grief and sadness, old anger. Anything emotionally that could be affecting you today that no longer serves you. These are a kind of toxin on the emotional level which can then affect the body. The mental toxins- do you have habits, thoughts that tend to reoccur and you no longer wish to have them? Sometimes we have to do a mental detox to clear the mind and establish new thoughts, new neurons and therefore a new way of being in the world. Heavy metals like mercury and lead, chemicals, solvents, pesticides, medications, non-organic foods containing estrogenic compounds, hormones, or chemicals, emotional or mental toxins. My approach is to find what each person needs. Cleansing and detox regimes can be very different for different people. In general though, a cleanse would reduce any possible inflammatory foods, or food allergens, along with natural remedies to facilitate that part of the body you are working on. A full body cleanse would incorporate proper intake of cleansing foods while detoxifying the liver, kidneys, colon, skin, and lungs. From a foundational level dietary changes, hypoallergenic diet, and specific functional foods, greens, liver specific herbs and homeopathics to improve overall health. Core 1: Functional Foods- Nourish your body with medical grade foods. 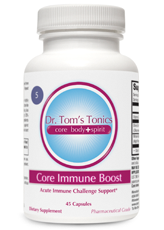 Core 2: Probiotics- Repair and restore immunity and strength. 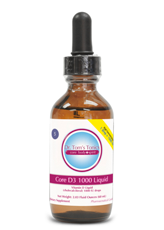 Core 3: Oils- Protect the nerves, heart, and cells. 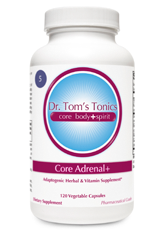 Core 4: Multi’s- Replenish lost nutrients from stress, environment, and toxins. Learn more about Dr. Tom’s Detox + Cleansing Core Foundation Program and shop for Detox + Cleansing products.